Another chapter to the tragic history of the McMahon family was added yesterday when Patrick McMahon was removed to the Grandview sanitarium in Kansas City, Kas. The strange actions of the younger brother since the confession by James McMahon to the murder of his two sisters and his brother-in-law have convinced the authorities as well as his relatives that Patrick needs rest and medical treatment. A few days ago Pat went to the penitentiary at Lansing and demanded the release of his brother, Jim. 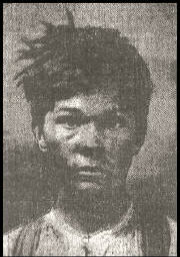 He was taken to Kansas City, Kas., by Sheriff Al Becker, where he was detained until it was thought safe to release him. After consultation with his relatives it was decided that he should be placed in the sanitarium, where he will have an opportunity to rest and recover. He will be detained in Kansas City, Kas., until developments show whether he should be removed to a state institution. Timothy McMahon, the invalid brother, who was removed several days ago to St. Margaret's hospital in Kansas City, Kas., died there yesterday. The funeral services will be held today at the Church of the Blessed Sacrament in St. John's cemetery. The father of the McMahon boys died just thirteen years ago yesterday. Bowed 'Neath Weight of Tragedy. Timothy McMahon, the invalid brother of James and Patrick McMahon, was sent to St. Margaret's hospital in Kansas City, Kas., yesterday afternoon and Mrs. Ellen McMahon, woman of sorrow, a mother facing not one, but many tragedies, spent last night practically alone in the old McMahon homestead, five miles west of the Kansas City, Kas., limits, in one of the loneliest spots in Wyandotte county and within a rod of the Van Royen house, where her two daughters were murdered ten days ago by one of her own sons. This sorrowing mother spent yesterday on the verge of nervous prostration. Mrs. Kate Ellis, a half-sister, who lives at Seventh street and Oakland avenue, in Kansas City, Kas., called on her in the afternoon and lent what consolation she could. It was Mrs. Ellis who urged that Timothy, an invalid for two years and who can not live many weeks longer, be removed to the hospital as a means of relieving the mother from a great care. Late in the afternoon the hospital ambulance arrived and Timothy was taken into the city. Soon Mrs. Ellis returned to her home, for she had her own children to look after, and the mother, 58 years old, and older than her years, was left alone. There were two hired hands on the premises, but they were men not known to Mrs. McMahon and they could give little solace. During the day Mrs. McMahon suffered severely from headaches and late in the day she decided to deny herself to all callers, save relatives of the family. It is a fact generally known that Mrs. McMahon has twice been an inmate of an insane asylum and the fear of the family is that her recent troubles may cause a recurrence of her old ailment. What Mrs. McMahon has undergone in recent weeks is hardly realized by most persons. Five weeks prior to the murder of her two daughters and her son in law, her sister, a Catholic nun, died unexpectedly. From the day that the murder of her daughters and son-in law was discovered, her two sons have been suspected of the crime and the mother knew it. Tuesday both sons were arrested and following their arrest one of them, James, confessed to the killing of the Van Royens and his unmarried sister. During all this time the care of the invalid son, Timothy, has been upon Mrs. McMahon and she has been driven nearly frantic by the multiplicity of her misfortunes. There was only one consoling event in the McMahon home yesterday afternoon. That was when Patrick, the youngest son, called up his mother over the telephone, told her that he was all right; that he would be home on the morrow and for her not to worry. "One of them all right; one of them is coming home," sobbed the poor mother, as she knelt before a crucifix and in tones half audible recited the prayers on her rosary. JOB FOR THE KAUTZ BOY. Dr. E. L. Mathias, probation officer, has written to St. Louis, Mo., and Coffeyville, Kas., to investigate the tale related by Theodore Kautz, 14 years old, who fell into the hands of the police Sunday. Kautz sticks to his story that he ran away from the Christian Orphan's home, 2949 Euclid avenue, St. Louis, and came here in search of his insane mother, who, he says, was left here six years ago when he and his brother, Arthur, two years older, were taken on to the orphanage. He also insists that his mother's insanity was caused by the fact that a nurse girl, left at home alone, placed his 3-months-old sister, Violet, in the stove oven. Kautz is an unusually bright boy, and well behaved. Yesterday afternoon a call was received at the Detention home that a boy was wanted at the Frisco freight offices to act as office boy at $15 a month. George M. Holt, who looks after that end of the work, took young Kautz to the factory inspector, got him a permit, and escorted him to the freight office. He will board at the Boys' hotel, 710 Woodland avenue. A baby 3 days old was found in a basket on the porch of his residence at 10 o'clock last night by W. E. Griffith, 537 Everett avenue, Kansas City, Kas. The police were immediately notified and the ambulance went with officers to take charge of the infant. Before the ambulance drove away from the house, a woman was discovered wandering on the street about a block away, apparently in a dazed condition. When approached by a patrolman she became frantic, and fought the officer. At the station she gave the name of Mrs. S. W. Underwood, 228 Hardesty, Kansas City, Mo. From her appearance and manner at the station the woman's mind is affected. Friends on the Missouri side were notified and given charge of her.